It has been a long time, but I am going to try to keep up with the blogging thing. Lots of things going on, lots of plans in the works. I have been doing a few ocean scenes to get the hang of how they are done. I have enjoyed them a lot, but now I'm about to get into a few subjects. 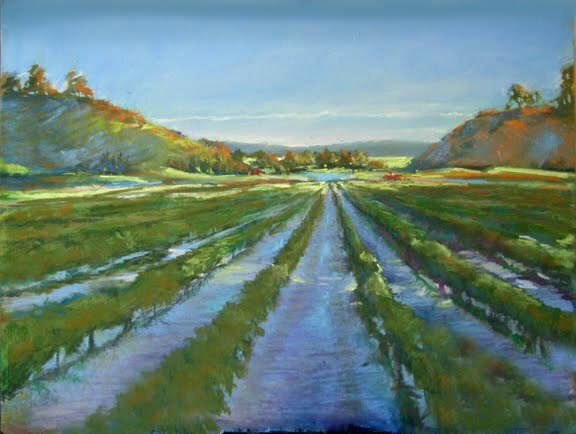 I brought out a pastel I had started a few years ago and hadn't finished. 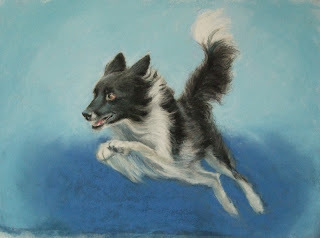 The title is Pip, my niece's boarder collie. She has a boarder collie rescue in Florida.